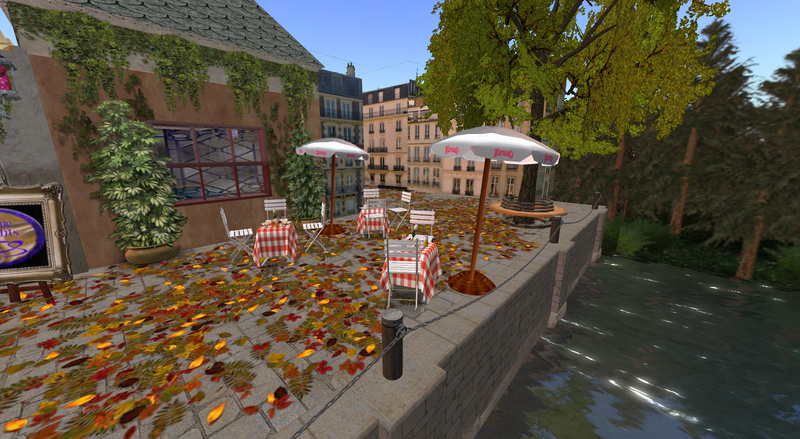 Marcel’s Bistro is now a bijou waterfront establishment – by popular demand! The location of the bistro is on exactly the same plot as before (so your LM’s will still work as before) but instead of being up on a platform, we are now making the most of the lovely sea view we have down on the ground level. 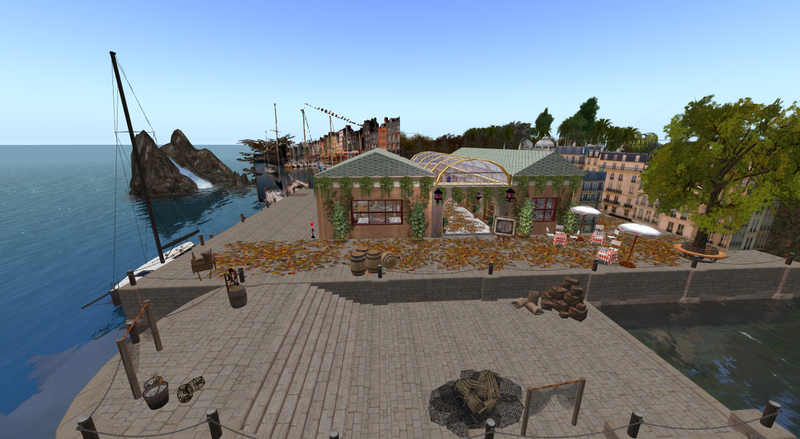 Uncle Marcel requested that we reproduce his old fishing village so I have tried to incorporate this whilst also keeping a taste of the old Paris that he loved so much. The renovations are a work in progress so please excuse any rough bits around the edges in the meantime. Whereas Sword used to call our original landing spot the ‘Place des Cerises’, he has now decided that the bistro is located in Croissant Ville sur Mer. This entry was posted in Marcel's and tagged bistro, Caffeine Nights, club, fishing, paris, rennovation, sea, sur mer.